Robin Gill's fermented barley risotto recipe provides a modern twist on a classic. 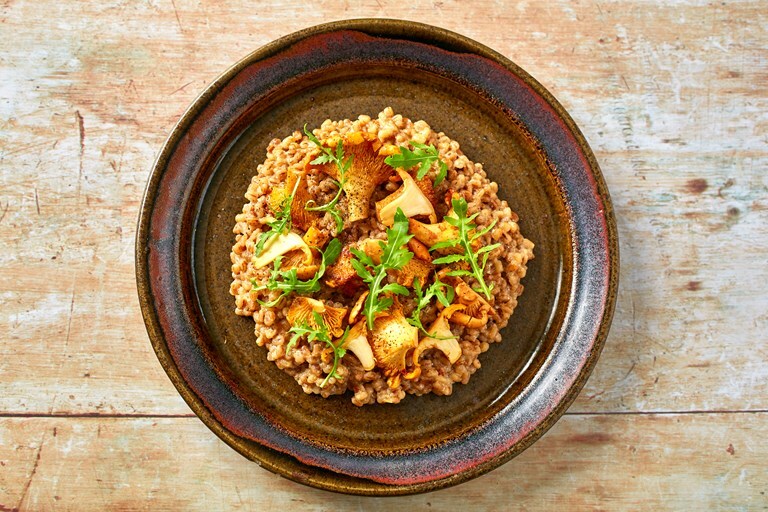 Fermenting the barley for five days adds an extra flavour dimension to the grain, and girolles provide a gorgeous earthy flavour. Once you've mastered the barley base, you can finish the dish with any seasonal vegetables you have to hand.